Matt and I were laughing the other day about all the useless kitchen items we put on our wedding registry seven years ago, before we knew any better. Before we knew the health risks related to certain cookware. Before we realized we actually had to store it all. We joked about covert trips to Bed Bath & Beyond to appeal to young couples doing wedding registries; we would urge them not to register for things like Teflon cookware, stacks of aluminum cookie sheets, a slew of plastic storage containers, and a crock full of plastic serving tools. In the past few years we have discovered the wonderful joy of cooking with cast iron, along with all the health benefits associated with avoiding other modern cookwares. We drastically reduced the amount of cookware in our kitchen when we finally shed the expensive wedding set of Teflon pots and pans, and fully embraced a “cast iron cookware system” of sorts. There are tricks to cooking with cast iron that don’t apply to other types of cookware. These tips helped us make cast iron a convenient part of our kitchen routines. Switching to cast iron takes getting used to, but the benefits are worth it. No questionable chemical coatings, and excellent performance make cast iron one of the best cookware options. Note: These tips apply mostly to regular cast iron, as it requires a little awareness for its care and use. 2. Use healthy fats liberally with cast iron. Start with a seasoned pan. (Learn how to correctly season your cast iron here.) You are always working toward maintaining a non-stick surface on your cast iron. After seasoning, the best way to maintain a good season is to always use ample fat. Butter, lard, coconut oil, ghee, and olive oil all provide a great non-stick surface and are healthy fat options. 3. Use stainless steel, wood, or bamboo utensils. Have you ever smelled a plastic spatula when using it with a hot pan? This can’t be good. Cast iron gets very hot, and you don’t want plastic chemicals leaching into your food, so don’t use them. Use only stainless steel, wood, or bamboo utensils. I love that I can go to town flipping pancakes with my stainless spatula without worrying about scratches or non-stick coatings. Cast iron handles get hot, so be sure to protect your hands. Get into the habit of using a towel or pot holder when handling hot pans. You can also make (or purchase) handle covers to save your delicate hands. Another option is to look for cast iron pans with protective wooden (or others types of) handles built in. 5. Never wash cast iron with soap. This one was really difficult for me when we first began using cast iron. I wanted to scrub and wash with suds. I thought it was disgusting to use a dish and not put it away sparkling clean. (I can thank years of convincing dish soap commercials for that.) Cast iron only needs to be wiped clean or rinsed. But keep the soap away, it will ruin all the hard work you’ve invested in seasoning your pans. We rarely even rinse them, we just keep cooking on them time after time; it makes for a great non-stick season. 6. Stuck-on food can be easily remedied. If something sticks in your pan and makes a mess, you can scrape the remains. I normally use a little plastic scraper that came with my stoneware baking pans. For the occasional tough mess, you can fill with water (just enough to cover the stuck-on food) and let it sit while you’re eating. Food should come off easily if the pan is correctly seasoned. 7. Dry pans on the stovetop. Remember, when it comes to cast iron: MOISTURE = RUST! Don’t worry about drying a wet pan with a towel, just place the pan back on a burner on low heat. Allow it to sit until all moisture evaporates from the inside, the outside, and even on handles. (As a bonus, this tip will save your kitchen towels from brown cast iron stains!) Allow pan to cool before handling again. 8. Always leave a little oil in your pan. A light sheen in a cast iron pan is a good thing. It will improve the non-stick properties and prevent rust. After cleaning, drying, and allowing the pan to cool, coat the entire inside with a little coconut oil, ghee, or bacon grease. A tiny bit of fat goes a long way here. 9. Lift a few light weights before investing in cast iron. Look for lighter-weight Griswold cast iron pans if you find other cast iron too heavy. This company isn’t in business anymore, but keep your eye on Craigs List or ebay. They’re collectibles now, so acquiring one of these antique, American-made gems might be difficult and/or pricey. If your cast iron cookware is well taken care of it will last forever and can be passed down to the future generation of family hash slingers. Now it’s your turn! If you have a few tips that make cast iron cooking a pleasure for you, share them with the community. I have a set I bought 24 years ago , they are so seasoned that I can wash them with soap & water .. I just have to be sure to dry them well with a hot flame on the stove top and very rarely I’ll all a little olive oil to the larger skillet .. I love my cast iron pans , they’ve outlasted most of my other cookwear . Just subscribed to DIY Naturals. I’ve been using cast iron for about 30 years now. One 9 inch skillet, a 12 inch skillet and a 14 inch (12 pound) dutch oven. The nice thing is the older they get the better they get as opposed to a “non-stick” pan the older it gets the more “non-stick” surface you get to eat. The 12 inch I use to bake Chicago style deep dish pizza. And the cost savings is great. Thanks for joining our online community! Love your idea about deep dish pizzas in cast iron…yum! I too got rid of all my Teflon coated pans, aluminum pans, & Tupperware because I had breast cancer. When you have a serious health issue you start to really re-evaluate a lot of things. 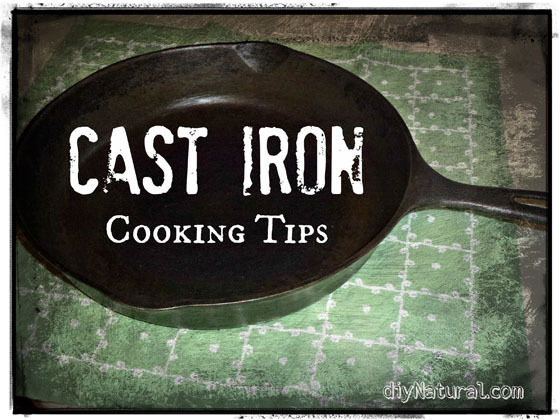 I am SOOOO glad you sent an email about using cast iron & how it works just as well ,if not better than Teflon, because it certainly is better for you than the chemicals they use for Teflon coating. I cannot use a microwave anymore either because my alternative Dr. gave me info on how bad it is for you. So now I’m eating better & using all glass, stainless steel, or cast iron in my kitchen. My health is doing good too & I did not have any chemo or radiation. I’m doing all natural supplements & a tonic & I feel good too! 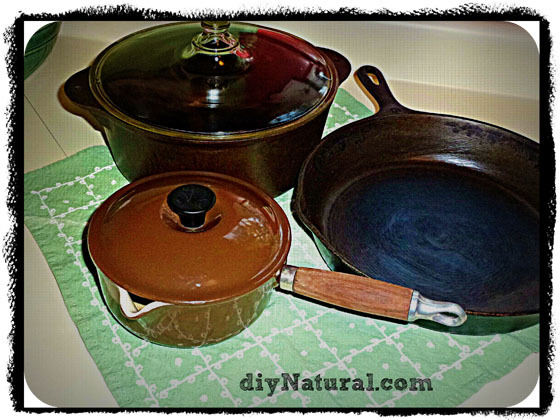 Here’s a very inexpensive way to invest in high quality cast iron pots and pans. Purchase at flea markets, yard sales, etc… Take them to a metal fab shop and have all the old gook sandblasted off them. Take home and season as if they were new– because they almost are. Love this idea Frank! Thanks for posting! Oh, I have to say one more thing. My step mom, aged 63, was diagnosed almost a year ago with fronto temporal dementia. She was born and raised in a very small, poor town on the border (she is Mexican, and boy did I have some delicious food growing up!) They were very poor and cooked a lot with aluminum. I now will always wonder if this exposure to aluminum at a young age made her more susceptible to her brain atrophy and shrinkage. She was really into natural health and alternative medicine, and making things from scratch, what a blessing for me, as my mom died when I was a baby, and she was my stepmom from the time I was 3 years old. So now I am really the only one in a family with 9 kids, that is into natural “stuff”. I have her to thank for that. We moved halfway across the country earlier this year so that we could be closer to my parents and help my dad out in taking care of her. It is no easy task, even when it is only a couple days a week that I help out. But I do know of the association between heavy metal poisoning (aluminum) and Alzheimers Disease. While my mom doesn’t have Alzheimer’s, I wonder if that had any influence on her disease. I just want to warn others when I see them using cheapo cookware… they do NOT want to go through what my family is going through. My heart goes out to your family as you deal with the deterioration of your step mom’s health. It’s so scary to think that trying to cook at home and keep a family healthy with nutritious food might have actually contributed. When we found out about the dangers of aluminum we went on a rampage ridding our house of it. What about those people (mostly men) who are looking to avoid TOO MUCH iron? My dad is one of them. Some people say to just donate blood regularly but he is unable to donate blood because of a hepatitis outbreak (foodborne illness that happened when he was in Jr. high back in the late 50s). We have stainless steel and cast iron, but I do cook for my parents a lot. Maybe just focus on enameled cast iron? Not quite the same, but an option. I don’t know statistics or anything, but it seems like it would also depend on what food you are cooking as to how much actually gets into what you eat. I know acidic stuff is going to have a higher concentration. Not sure on other things like bacon, eggs, etc. I was thinking enameled cast iron would be better also. Renee is right about the TYPES of food cooked on cast iron. Acidic foods with a higher moisture content will absorb more of the iron. A longer cooking time and frequent stirring will also increase the iron in your food…since it’s getting more exposure to the pan. Something like an egg that’s cooked for a short amount of time and only flipped once will absorb very little of the iron. Another thought…does he take any vitamin or mineral supplements? These are a common source of iron, and may actually deliver more iron than food. However, iron may be called things like ferrous sulfate and ferrous gluconate on the supplement labels. Something to watch for if he does take supplements. I’m really enjoying that so many are returning to good “ole” fashioned cast iron. I am 54 and I grew up with my mom using it and her mother before her. My husband, children and I lived in Central America for many years as missionaries. We learned from Peace Corps workers and a medical guide that one way to get the “pobres” (poor people) to get more iron in their diet was to boil their beans with an old horse shoe!!. It really works! So cooking with cast iron will be putting back into your diet what your body really needs so don’t “sweat” a little rust!. I loved your article on cast iron pans and finally tossed my aluminum ones in favour of my cast iron fry pans. I also use enamel pots for things like tomato and pasta dishes. But I wonder if you have any suggestions on baking pans. I have just tossed what I believe were teflon coated baking pans, but I have some Ekko pans, and not sure if they are teflon or not. Do you have any suggestions? Thanks. I found a 14 inch griddle at a garage sale about 25 years ago and use it all the time. When we had our camper at the lake I would transport it back and forth every weekend. It has been my best find! Love this post! I am getting rid of all my non-stick pans and replacing everything with cast iron and stainless steel. I bought my large skillet at a garage sale for $5!!! I also recently bought one at the grocery store. It says that it’s only safe up to 400 degrees in the oven. Is that common for all cast iron??? There are warnings on some cast iron because temps somewhere above 500 can start to burn off your seasoning, but the highest temps your home oven generates will not harm your cast iron in any other way. Is your new pan enamel coated? These are not supposed to be used above 400 degrees, but I think this is mostly because of the plastic knobs. Cast iron pans can be used on the glass top ranges if they are flat-bottomed. If they are warped so they don’t sit right, they won’t distribute the heat right, which could damage the stovetop. This is true of other kinds of pans also. This is what I got from the instructions for the range I had. My dad once came home with a yard sale cast iron skillet that he got for practically nothing because no one would buy it. The outside literally had a 1/4 ” or more crust of burned grease on the outside and around the top inside edge. My mom was horrified. When we went camping, Dad pulled that cruddy pan from the trunk, placed it in the fire ring, and built the campfire on top of the pan. The next night he built another fire. Sunday morning when we were packing up to leave, he went to the fire ring to clean it up and pulled that skillet from beneath the ashes. All of the burned on crust and crud was burned off. Once home he wire brushed it up a bit, oiled it, baked it, oiled, baked, many times to re-season it. It’s still in the cupboard at home. So don’t give up on a pan that looks like more work than you want to take on. Also, word to the wise from a lesson learned. I couldn’t wait to have one of the new glass top stoves. After it was installed I was reading the book and discovered I could no longer use my cast iron skillets on the range top. I kept them and use them in the oven only, but I hate that I can’t use them on top. This is a great article, I love my cast iron and I use it for 99% of my cooking. The only thing that wasn’t addressed here is flavor retention. Frying fish and then making tacos might be okay, but cooking fish and then cooking eggs might give you some fishy eggs, lol. Does anyone know what you can do to get rid of leftover flavor retention, as Lauren mentioned? I’d sure like to know as I am rather new to using cast iron cookware. Thanks! 1. Boil an inch of water for five minutes, let cool, wipe out, re-oil and cook. 2. 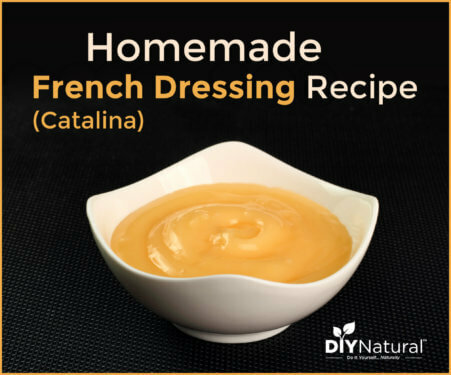 Rinse with hot water, dump, pour on salt, wipe around, rinse out, let dry, re-oil and cook. As soon as I’ve finished cooking in ny cast iron pan, I first use the stainless steel spatula to scrape anything big and chunky. Then if there’s a lot of oil I use a paper towel to get the excess. And lastly I pour some salt in the pan and rub it with a paper towel, brushing all the oil/food soaked salt into the sink (or another pan needing cleaning) and voila, it’s clean. And, it has a nice shiny nonstick coating! This is a great example of a simple and effective way to clean them Tacy, thanks, we may add this to the article. Blessings. I was raised with cast iron. My parents always cooked with it in the home as well as camping. Before I left home I had my own indoor set of pans and since I have been married I have purchased several dutch ovens. I enjoy more the cooking outdoors with my dutch ovens and all the things we are able to do in there just as well as in our oven at home. We have made biscuts, cobbler, cookies pizza and so on. I love your piece about cast iron so many people look at me so strange when they see my pans or I talk about cooking with cast iron. They are like “what is cast iron?” or “what are dutch ovens?” Thanks! Course salt (a lot) will remove all the grime and grease and still keep the seasoning. So just coat the pan with tons of salt, whirl it around with a paper towel and watch the grease lift right off.. or I think the salt will absorb it. I do this sometimes and it gets my skillet nice and shiny! If the iron pan has a build up of hard stuff on the outside just build a fire, outside, and put the pan in the fire. Let it stay in the fire until the fire cools. The pan will be nice and smooth ready for seasoning. Happy cooking and thank you for all the great information! My family has used cast iron ever since I can remember. I grew up cooking with it. I am now in my 40’s and still do. I still have the cast iron that my parents had plus a new grill pan my sister bought me for my last birthday about a year ago. I also have a set of Chantal cookware, 2 woks, and 1 non stick Ming Tsai pan that were my sisters who passed away earlier this year. I use some of this as well for certain things. Hands down cast iron is some of the best cookware you will ever use. I never use soap to wash it, just plenty of hot water and scrubbing and keeping it well seasoned from different cooking methods and oils works just fine. Sometimes I don’t even wash it out after using it especially with oils and seasonings. I just leave it for the next use. It keeps nicely this way. By the way-since I first started using cast iron pans, I no longer have a problem of not getting enough iron in my diet. I love my cast iron! I use salt to scrub mine if it needs it. One of my frying pans belonged to my grandmother,she had it forever.I always dry mine on the stove and use a dab of olive oil before putting it away.I still remember peeling teflon pans from the sixities-YUK ! My grandfather always told me to reseason a cast iron pan by oiling it and bake in the oven for a couple of hours.My first set of pans were enamel.As newlyweds we woke up in the middle of the night to a pinging sound.It was the enamel popping off my very expensive pans.It’s been 38 years now of using cast iron and stainless steel.I finally listen to my grandparents. I hear stories of people getting rid of whole sets of cast iron pans because they think it is a bother,it rusts,too heavy,or not the lastest thing.Search yard sales,craiglist,etc Lemen’s has a amish catalog on line that sales cast iron and old type of utensils.I often check dollar stores for stainless steel utensils. Another thing that is good for your cast iron is beeswax. Rub it onto a warm pan. Done repeatedly it will remove rust. Done before putting away, it will prevent rust. I have bought old rusty cast iron pans at thrift/antique stores and refurbed them into the best cookware there is.. My favorite is a made in USA 11″ skillet that I got for 3 bucks. I sandblasted it and seasoned it with bacon grease. I do wash it with mild liquid dish soap at the end of my dishwashing when most or all of the suds are gone. . It never takes any effort to get clean and dries on the stove in one minute. If you want the best french toast ever,, cook it on a cast iron skillet. Crisp edges and evenly cooked without anything put on the surface at all and you can’t put a value on not worring about scratching expenssive teflon cookware..I have also bought the corn-cob shaped cast iron cornbread molds on ebay for 7 bucks and sandbalsted & re-seasoned them.. It’s like trying cornbread for the first time… I have also found there is a HUGE DIFFERENCE from the old made in USA cast iron and the new made in china junk. Garage sales, Flea markets, ebay, craigslist, thrift stores are the best places to buy high quality made in USA cast iron.. If it’s real rusty,, a little elbow grease and some steel wool will give you the best cookware available..
Real, natural soap is what binds with the seasoning on the cast iron and causes problems. Detergents (i.e. Dawn, Joy, Ajax, etc) will not bind with the seasoning or damage the cast iron. To reseason a pan, you can place it in a fireplace or self cleaning oven to remove all of the crud, and then oil and heat to reseason it. I’ve never scorched anything in my cast iron pots but I have in stainless steel. 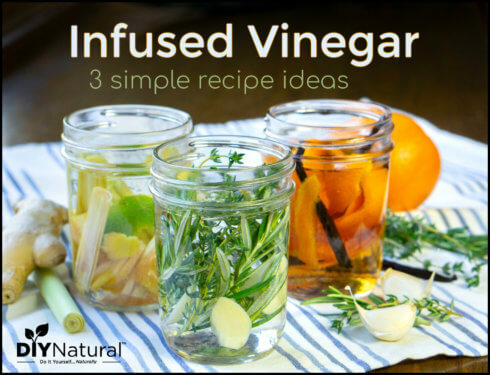 Soak some water and vinegar overnight in the pan. The next day whatever was burnt will be floating. My kids thought that was cool..my daughter had thought we were going to have to toss the pan in garbage but the vinegar saved it. As always – Love your posts! read them & save them. I have my grandmothers cast iron skillets When I first got married, husband washed w/soap! Woops! had to teach that yankee boy how to use cast iron. 🙂 These have been lovingly seasoned for many many years and used often. I use cast iron for almost all cooking. While I agree that no soap is preferred, hubby washes the dishes and he uses soap-so we compromise. If you have a good seasoning and you religiously dry it over heat and then wipe with oil, it can stand a small amount of mild soap (we use one of the sponge wands with soap in the handle). Kosher salt (its coarser) and even sand works well too. It is also easy to stir fry in cast iron WITH NO OIL AT AT ALL! Just start with your veggie that takes the longest to cook (for me this is usually carrots), cook a few minutes, then push those to the edge (I use a huge 15 inch pan for large batches!) and add your next veggie , continuing until all are done(squash is always the last to go in for me). Then sprinkle on a mix of soy sauce, lemon juice (or other citrus), spices, and water (the water is mostly going to evaporate). Stir quickly to loosen any stuck on bits, cover and let sit 5 minutes. This steams any veggies that werent quite done and loosens all the food residue on the pan, making it easy to just wipe clean when you are done. The right utensil is very important. I have found it hard lately to find the type of metal spatula that I like – a very thin, flexible metal with the leading edge straight instead of rounded (angled is ok if thats all you can find). I also prefer them to be all metal or have wooden handles rather than bulky ugly plastic ones. Thrift stores and yard sales are my favorite places to find these, but ocasionally I do find an all metal one in the store, and when I do, I will buy several and hoard them. But my flat-bottom CI fry pan fits N American-style the stovetop better anyway & is still my favorite. Hi there!! Thanks SO much for this wonderful website!! I found it by accident and now it is one of my favorites! I’m in my 50s and have used cast iron all my life. My kids used to laugh at me, but now they also use cast iron for most of their cooking needs. The one tip you forgot to add is that if your pan needs a really good cleaning, cover the bottom with plain water and then boil on the stove for 5 minutes. Pour the water down the sink and scrub pan with a plastic scrubber under running water. Put your pan on the stove to heat until all traces of moisture are gone and then add a very thin layer of oil to re-season. The season really isn’t gone, just cleaned. I learned this tip from my mother back in MN when we were kids and she was using cast iron. Another way to remove stuck on bits on the bottom of cast iron fry pans is to put enough water in the pan so as to cover bottom 1/2 inch deep and then turn on the burner until the water comes to a boil. Use the metal spatula to scrape the bottom just as one would do somas to use the bits/essence if one were making gravy. When all is loosened, pour out, rinse, wipe dry, dry over burner heat, oil, and that is it! I have heard people say before not to use soap to wash cast iron. I have always found that odd. I have used cast iron all my life, my mom has used it and my grandmother – I have some of their pans and some of my own. All of us have always used soap and water to clean them without any problems. I agree with LisaC above: hand wash, do not use a dishwasher. I have used mine on a glass top stove before and didn’t have a problem. It didn’t scratch it which is what I had heard is the problem. You may want to watch your heat. Glass tops turn off and on the burner so that the glass doesn’t crack. If your pan is too hot for too long you might see a similar issue. My mother in law and her mom both soak their cast iron in hot soapy water like any other pan. I guess they have done enough frying in them over the years that it doesn’t seem to phase them. Now, I about cried when I saw what it did to my newly seasoned pan one night when she helped me do dishes. It’s definitely a practice that should be reserved for well seasoned pans. It was discouraging, but all it took was a bit more time and grease and I was back in business. To get rid of rust, keep applying oil and wiping out the pan. Also, rust is iron, not really bad for you. Just looks ugly. I have a whole set of cast iron and love it. If it gets really smelly after cooking fish, I will put it in my dishwasher for a quick rinse cycle with no soap (not a wash cycle), to get rid of the smell and then dry it off immediately afterward. I use my cast iron for everything except tomato sauces. I can’t explain the exact reason,, I’ve read about it many times, maybe too acidic and the cast iron has a reaction with the food. Great tips! We switched over to cast iron a year or so ago. Wow, not sure what took us so long! I love the easy clean up, that they’ll last forever, and that I don’t need to worry about toxic stuff in my food! I use salt to scrub bits and pieces left on the bottom of my skillets. Then I rinse thoroughly and dry on the stove. A quick swipe of oil leaves them ready for the next meal. I recently saw a tip on Pinterest from a pinner for cleansing cast iron. Table salt. I had never heard of that before….so I used it on a small skillet that had some ‘stuck-on’ stuff. IT WORKED! I typically just rinse mine, use a paper towel to dry them and then add a drop of oil and coat the bottom and sides. Now…when something sticks (I really like my home-fries a bit ”crispy”….so, it’s my fault) I rinse with hot water, sprinkle a little bit of salt over the ‘stuck-on’ bits….and use an old library card to scrape it off. ( I think the salt acts as a ”safe” abrasive?) Then, I rinse again, re-oil and VOILA! it’s all good again. Yaay! Table salt works well on stainless steel cookware as well. Salt is also good to use if you are having trouble seasoning your pan. Put a little salt in the oil and the seasoning sticks well. I also read that you can boil some water in the pan when the food is really stuck on. After boiling the water, I let it cool before cleaning. It works quite well, but you need to make sure you oil the pan well afterwards. Thanks or sharing this. I have had several cast iron pieces for many years, but have only started using them regularly during the last few years. I have always been a bit scared of them, I guess. I have a pretty good set of stainless that are my regulars, but I asked my husband for an enamel coated dutch oven a few Christmases ago. I absolutely love it. I use all of my iron for frying (I do not do this often), cornbread, and large one-potters. I finally got my elderly mother-in-law to throw out all of her aluminum pots and convert to her daughter’s stainless (they live together). They still use their old cast iron for all of their frying and breakfast meals. Now that I know how to treat my cast iron, I will use them more often. And I will keep my eyes out for a deal on Craigslist or at a yard sale. This isn’t a how to use tip but after 43 years of marriage I an still using my grandma’s pancake griddle. It cooks great & brings back happy memories. Thanks for the article! I could have written the intro myself! We’ve been married 7 years and like you I am ashamed to think back to my wedding registry. My parents were thrilled to be regifted the Teflon pots and pans that they had bought us just a year or two prior. My first step was to stainless steel, then I started into the wonderful world of cast iron. I was just thinking out loud the other day to my husband that I would love to have an all cast iron set eventually (I’m well on my way with one 6 qt. enameled dutch oven, 2 different sized skillets, a griddle, and a grill pan). I have to fix separate meal items due to food allergies so I would need more than the average person both for cross contamination purposes, but also b/c I have to double up on a lot of things (separate pastas for meals, etc.). Any recommended brands for utensils? I am tired of my plastic spatulas and am wanting to get some metal replacements of some sort. I use bamboo for most everything, but they just don’t work for flipping pancakes or tortillas. Stainless steel utensils work just fine for cast iron. No need to worry that you are going to scratch the surface because it’s not Teflon coated. A stainless steel spatula works great for flipping eggs or pancakes. Cheryl is right, a good stainless spatula is perfect. Just go browse your local kitchen supply store or Target. Our favorite spatula is a stainless steel OXO Good Grips. The one thing I have found most difficult in cooking with cast iron is managing the heat of the pan while cooking. The pan usually takes longer to heat up but retains a lot of heat for a long time. Adjusting habits, and cook times, is challenging. Any suggestions on how to adjust from teflon or stainless steel to cast iron? Really? I’m MORE likely to walk away (not long, LOL) from CI than yucky ol’ teflon: I can turn down the heat & clap a cover on & with any luck at all, any food stuck on the bottom steams off! I always scorch with the yucky teflon & can’t keep the finish on the pan (& out of our bodies) to save me. I have a solid glass cookstove. The salesman told me I shouldn’t use cast iron pots on there. Has anyone used them with success?? I have a glass cooktop that we inherited when we bought our house several years ago. Because it was already stained, I didn’t think anything of it and use my cast iron on it without any problems. I try not to slide my pans around, instead lifting and turning them so as not to create more scratches, but that’s it. I have had my glass cook top stove for seven years now and have used cast iron on it regularly and yes it can leave iron marks but they are easily removed with the cleaner that your stove top came with and as long as you are not dragging and sliding your cast iron around on the surface of the stove I’ve had very little problems. The smooth top glass surface seems to be more affected by sugar spills and burnt food then the cast iron I’ve used. Everyone I know, friends and family members, who has the glass tops tend to have theirs turn ugly after several years anyways and they’ve never ever used cast iron cookware. I have some cast iron fry pans but I have a flat top stove the manuel said not to use cast iron on my stove because it will scratch the surface. Any thoughts on this? use a wire coil between the surface and your pan, like one they use for Corning Ware. I have a flat top stove and the directions said the same thing. But, I use my cast iron pans without any trouble, and my stovetop surface is white. You just have to be careful not to slide the pans on the surface. Also, you will have to clean the stove burners more often. But, I find it pretty easy to clean with a good stovetop cleaner. they just need to be scrubbed and re-seasoned. Google the process if you’re not sure how. Mine were crazy rusty when I first got them, but haven’t had a problem since. And I’m sure others hold a different opinion, but I wouldn’t worry about ingesting a little rust–it’s just iron, which your body needs anyway. I’m not talking about cooking on straight rust, but if a little remains after you season your pan, don’t worry about it. It will disappear as you use it. What about the bottom of the pan? I didn’t think much about it, but set my skillet on the vent burner for the oven and I guess the moisture and condensation did a number to it. Do you just season the bottom as well? I just cooked some bacon in mine and was thinking that I could just rub a little of the grease on it periodically? Yes, season the entire pan…inside and out. While the rust on the outside obviously won’t affect your cooking, the rust will rub off on other things and become a mess. Your pan will look great when the outside is seasoned too. Check out the link in the article for correctly seasoning a pan. Mine were bad enough that I striped them and started over. It was the best thing I could’ve done – now it’s an everyday pan! I found coconut oil works incredible on CI pans. Best oil for me so far. Eggs slide right off with no stick. Love my CI pans! I am 52 years old and am using cast iron skillets that my mom cooked in when I was a child. Have added to the collection through the years and will always use them! Rusted pans can be easily restored and put back on the path to great seasoning and years if use. And by all means, NEVER put cast iron in the dishwasher. A recipe for disaster!! I have the cast iron skillet my mother bought for 25 cents when she first got married in 1943. It is well loved and well used. I did a lot of research on seasoning before going with flax seed. My pans are fantastic. It’s healthier, but there is an added odor. I think it’s worth it. I’ve used the flax seed oil method of seasoning and use soap to clean my pan (when needed) with no problems. When I initially stripped the pan I had to use oven cleaner three times (over night in a trash bag). That’s when I realized that the no-soap issue was a bust. If it took that much effort to strip the pan, washing it once in a while with soap and water wasn’t going to hurt it. And it doesn’t if it is seasoned well. If you get rust, the pan needs to be seasoned better. The caution with soap is that you need to make sure it doesn’t leave a film on the pan so the seasoning sticks as it is supposed to (when you oil it down after washing). Thanks for this tip. I don’t always wash my skillets but sometimes I feel like it just needs hot soapy water. I’ll try the flax seed oil. Flaxseed seasoning is the best! It was a long process (rub flaxseed oil, bake for an hour, rub with oil, bake, rub, bake…you get the idea – the more the better! ), but I swear by it. I never have anything stick, and food slides right out. And just so you know, we don’t actually cook in flaxseed oil, we prefer coconut, but use the flaxseed to season. We haven’t used soap in years so just remember that it’s not necessary. All it takes is a little water and a good wiping. I wouldn’t recommend using a nasty chemical to clean the cast iron. I just place mine upside down on the grill for a few hours, check to see if it’s done. Then season, season, season. Good data on using cast iron, been doing it for years but occasionally after cooking up a mess of fish or highly spiced beef, there is a residue odor left in the pan that carries over to the next use. Any suggestions for eliminating the slight reminder of the day before? Put some water in the pan, about 1/2 inch, and boil for 5 minutes. Pour the water down the sink, scrub with a plastic scrubber, dry on the stove and lightly season with oil. Voila!! clean pan and no residual odor. Sprinkle baking soda on it, let it sit over night & take care of it in the morning. Great for stuck on stuff too. Hi there – great article thanks! My mother in law has given me a few cast iron pans and I am ashamed to say they’ve sat at the back of the cupboard gathering dust..and rust! Do you have any good tips on removing the rust? And can they be used once they’ve rusted? (assuming I can get it off..). Thank you! Absolutely they can be used!! If your kids have a sandbox, borrow some of their sand and rub the pan inside and out with it and a little water. Put the pan on the stove to heat until all moisture is gone, then wipe the pan inside and out with oil and allow to cool. Use it and enjoy!! !